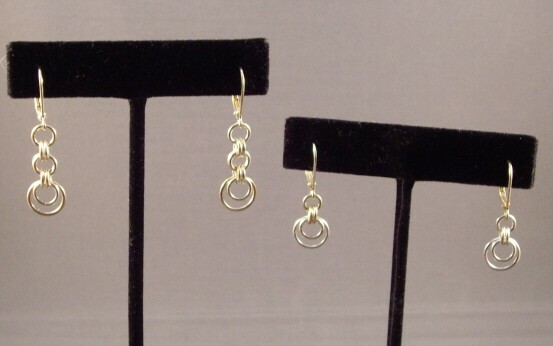 The Graduated Circle Earrings are a very versatile pair of earrings to wear. You can make them either short or long as shown in the picture. This is a beginner weave. Sterling silver plated or gold plated leverback earring findings are included in the kit.